Collection of Mary Ellen McKinney, Fredericton. 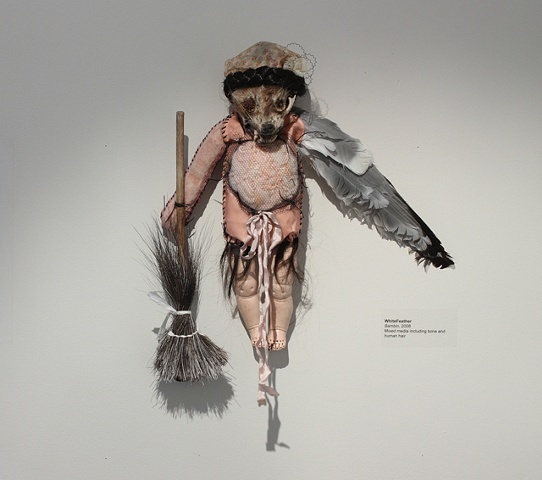 Weasel head, found rubber doll legs, fabric, beeswax, found wooden spoon, moose fur, waxed linen, ribbon, mesh, handspun yarn (guts), gull wing, synthetic hair, found funerary flower. Stuffed with human hair and wool.